One year ago today, Falcon Heavy launched for the first time – successfully sending Starman into orbit. A year later, SpaceX is preparing for the first operational launch of Falcon Heavy. 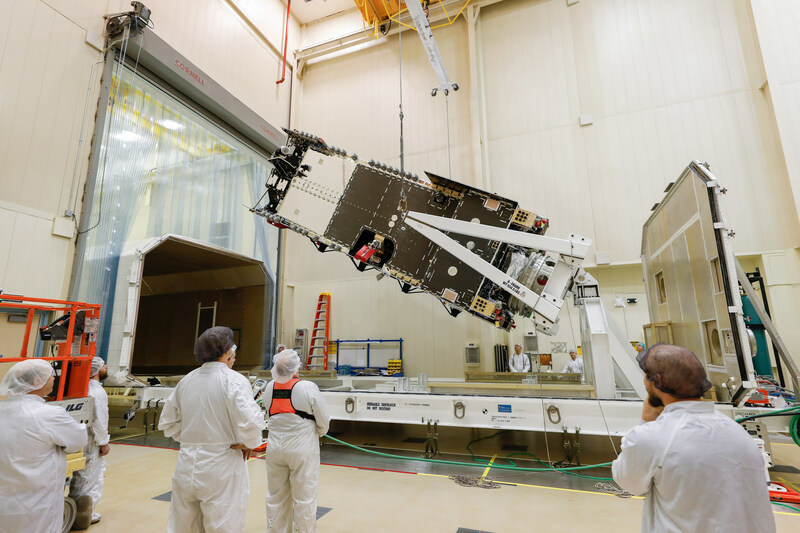 The mission – which will feature the Arabsat 6A spacecraft – is one of several marquee launches on SpaceX’s upcoming manifest. On February 6th, 2018, Falcon Heavy finally lifted off after years of delays. When SpaceX CEO Elon Musk originally announced the launch vehicle in 2011, the first launch was scheduled to occur in 2013. However, unexpected technical challenges combined with the increase in Falcon 9’s payload capacity meant that Falcon Heavy was temporarily placed on the backburner. Despite the delays, the launch vehicle did eventually make it to the launch pad – becoming the world’s most powerful operational launch vehicle when it finally lifted off. The flight will always be remembered for its sensational visuals. After a spectacular liftoff, the two side boosters touched down nearly simultaneously on Landing Zones 1 and 2. Then, SpaceX live streamed hours of Starman’s journey through space atop Falcon Heavy’s second stage. 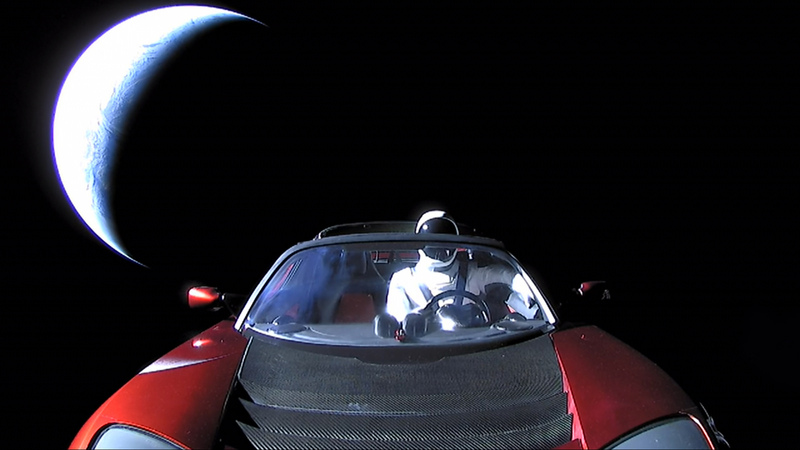 Instead of launching a mass simulator or an experimental payload for the demonstration mission, Musk decided that his cherry red Tesla Roadster with Starman at the wheel would be a more inspiring payload. This decision was controversial, as many saw the flight as a good opportunity to support an educational spacecraft. However, the Falcon Heavy launch and Starman broadcasts have earned a combined total of nearly 40 million views on SpaceX’s YouTube channel – indicating that the mission had generated a lot of excitement within the general public. Musk later explained the decision behind flying Starman in a tweet. 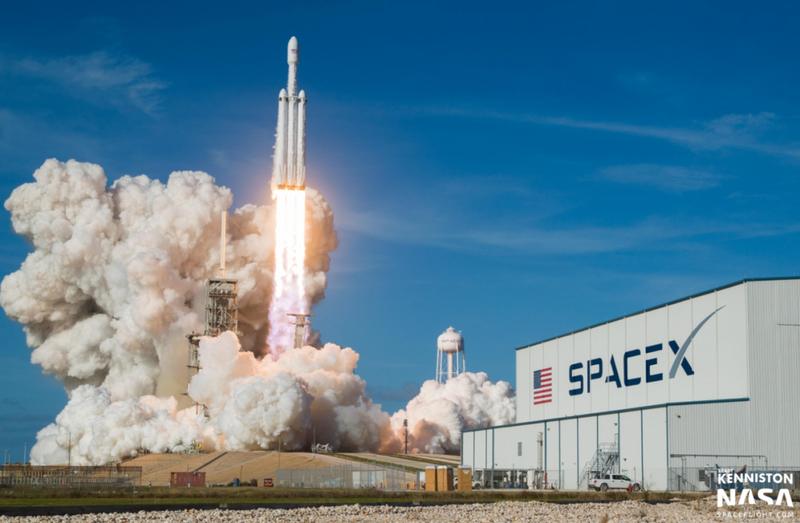 Beyond the excitement from the general public, Falcon Heavy has also been generating interest within the space industry. Since its maiden flight, Falcon Heavy has won its first competitive contract for the United States Air Force. The rocket has been selected to fly the AFSPC-52 mission no earlier than September 2020. 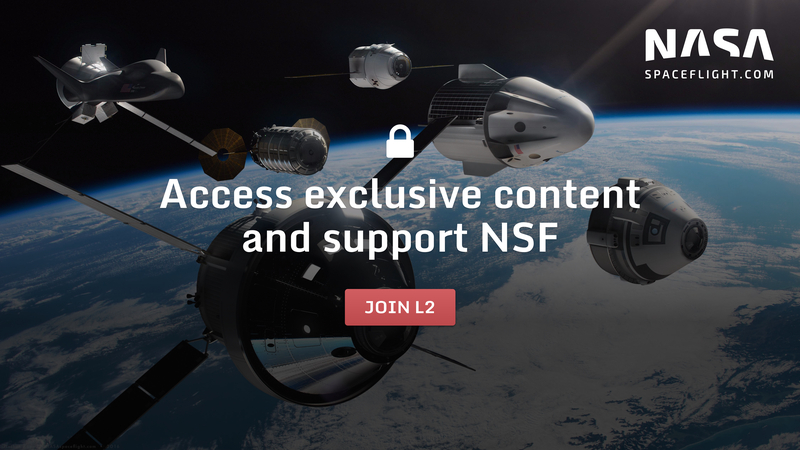 Additionally, Falcon Heavy picked up commercial launch contracts from Viasat and Ovzon for launches in 2020 and 2021 respectively. In the near term, SpaceX is preparing for the vehicle’s first operational flight with the launch of Arabsat 6A. Built by Lockheed Martin, Arabsat 6A is a large geostationary satellite for Arabsat – a Saudi communications provider. The spacecraft will provide service to Europe, Africa, and the Middle East. While the exact mass of the payload has not been confirmed, it is expected to be over 6,000 kilograms. Therefore, Falcon Heavy will be utilized to get the spacecraft as close to its final destination as possible while still being able to recover the rocket’s three boosters. Just like with the demonstration flight, both of the side boosters will return to Landing Zones 1 and 2 at Cape Canaveral for nearly simultaneous landings. Additionally, the center core will perform a landing attempt on the droneship Of Course I Still Love You. The droneship will be stationed nearly 1,000 kilometers downrange in the Atlantic Ocean – the furthest booster landing location in SpaceX’s history. According to filings with the FCC, the Arabsat 6A mission is set to occur no earlier than March 7th, 2019. 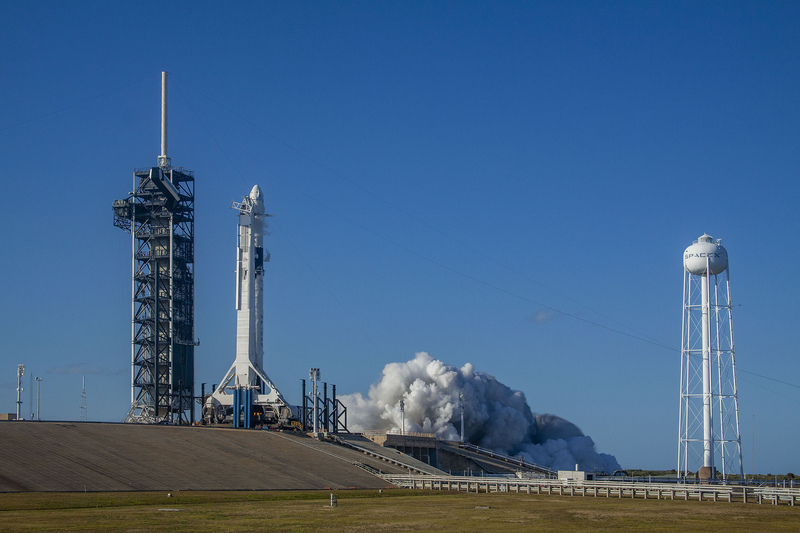 However, the timing is entirely dependent on Falcon 9’s Demo-1 mission – an uncrewed test flight of SpaceX’s Crew Dragon spacecraft for NASA’s Commercial Crew Program. Like Arabsat 6A, Demo-1 is also launching from Pad 39A. With Demo-1 having priority, the final preparations for Arabsat will not be able to begin until the Demo-1 launch has occurred as there is only so much space in the Pad 39A hangar. With that in mind, Arabsat 6A will likely occur in the second half of March at the earliest, as NASA announced on Wednesday that Demo-1 is now targeting no earlier than March 2nd, 2019. Once Demo-1 and Arabsat are out of the way, Pad 39A will not be done supporting high profile missions. SpaceX will work to quickly turnaround the first stage boosters from the Arabsat 6A flight in order to reuse them for the STP-2 mission – the second Falcon Heavy launch of the year. STP-2 is a mission for the U.S. Air Force which will feature several technology demonstration payloads. According to FCC filings, the launch is currently scheduled for no earlier than April 30th, 2019. However, since this mission requires boosters from the Arabsat 6A launch, SpaceX will require several weeks between the two flights to refurbish the cores. As for other launches on SpaceX’s upcoming manifest, the launch provider is scheduled to launch Nusantara Satu – a communications satellite for Pasifik Satelit Nusantara of Indonesia – on February 18th at 20:58 Eastern (Feb. 19th 1:58 UTC) from SLC-40 at Cape Canaveral. The Nusantara Satu spacecraft will also be hosting two rideshare payloads. One is Beresheet – the first private lunar lander. The spacecraft was built by SpaceIL of Israel and was originally designed to compete for the Google Lunar XPRIZE. Following the Nusantara Satu launch, the Falcon 9 is expected to perform a landing on OCISLY. Additionally, the launch may see the first attempt at a fairing catch on the east coast. Fairing recovery vessel Mr. Steven is currently en route to Florida via the Panama Canal after finishing testing on the west coast. Also on the manifest is the RADARSAT Constellation Mission (RCM). The launch was originally scheduled to occur from Vandenberg in February but was delayed after the first stage B1050 failed to land on Landing Zone 1 during the CRS-16 mission. That booster was scheduled to launch RCM, and therefore SpaceX has had to find another first stage. As a result, the launch is now expected to occur no earlier than March. Currently, the plan is to recover the first stage on Landing Zone 4 following liftoff. Finally, SpaceX has one more mission manifested for the Spring – the launch of CRS-17 for NASA. The flight will see a SpaceX Dragon capsule transport cargo to the International Space Station atop a Falcon 9 rocket. The launch is scheduled to occur from SLC-40 no earlier than mid-April and is expected to feature a first stage landing on Landing Zone 1.